Croatia are the first side to win the group with the 100 per cent record at this World Cup. They are the most pleasant surprise of the tournament having finished the group phase with a fine 7-1 goal difference. Can the Blazers build on such display and make a deep run in Russia? Denmark stand as their first obstacle in the knockout phase. The Blazers topped the tough Group D without breaking a sweat, having win all of three ties with an impressive 7-1 goal difference along the way. They’ve finally justified the tag of a team with world-class midfield and we’d not be shocked to see them go deep at the tournament. Luka Modric had an exceptional season winning the third consecutive Champions League trophy with Real Madrid and he seems to have brought the winning mentality to the national side. Luka is a genuine leader on the pitch as he makes the best midfield duo in the world together with Ivan Rakitic of Barcelona. The center of the park is backed up with high-profile players of Italian Serie A, Juve’s Mario Mandzukic and Inter’s Ivan Perisic, who have all enjoyed their bright moments throughout group stage matches. The Croats are now up against a stern Denmark who can be a very tough nut to crack in spite of showing lame build-up play moving forward in the Group C.
The Scandinavians continued to be very tough to break down. They kept four clean sheets on the bounce in pre-World Cup friendlies and moved on to conceded just one goal in three group stage matches in Russia. However, Age Hareide’s men did nothing in the final third, relying heavily on the moment of magic from their stalwart Christian Eriksen. Zlatko Dalic fulfilled the promise and changes 9 of 11 first team regulars for the final group stage clash with Iceland. It did not stop roaring Croatia from winning as they ended the group with the 100 per cent record thanks to goals from Milan Badelj and Ivan Perisic. We can expect the same line-up which cruised past Argentina 3-0 in the second round. 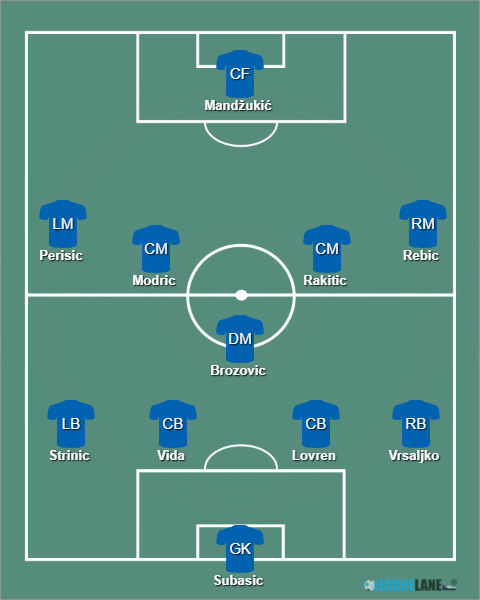 Subasic – Strinic, Vida, Lovren, Vrsaljko – Brozovic – Perisic, Modric, Rakitic, Rebic – Mandzukic. Lasse Schone, Nicolai Jorgensen and Yussuf Poulsen all skipped the last round tie with France. We can expected this trio to find their place in the starting line-up against Croatia. The squad should be very similar to the one that drew 1-1 to Australia in the second round in Age Hareide’s preferred 4-2-3-1 formation. 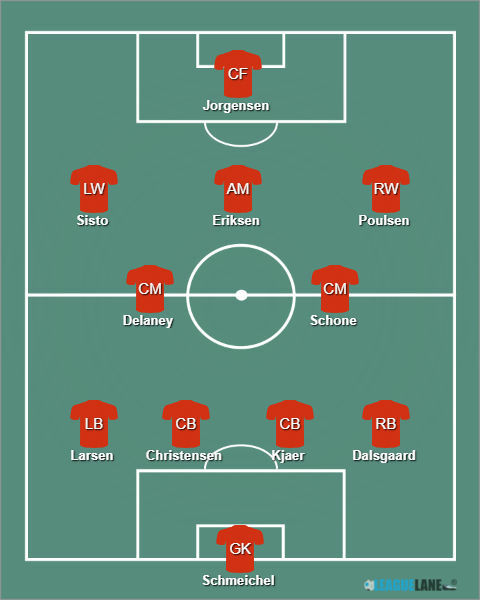 Schmeichel – Larsen, Christensen, Kjaer, Dalsgaard – Delaney, Schone – Sisto, Eriksen, Poulsen – Jorgensen..
Denmark were more successful in the WC Qualifications ahead of the tournament in France 1998, claiming four points from two ties with the Blazers back then. Both teams qualified for the competition as Croatia went on to win the bronze medal, their best record ever at a major tournament. Both outfits progressed from their respective groups after conceding just a goal apiece along the way. Given the clash has a massive importance, we can hardly imagine a goal fest in Nizhniy Novgorod, meaning the Under 2.5 goals FT has to be the main betting call, set at the odds of 1.50. 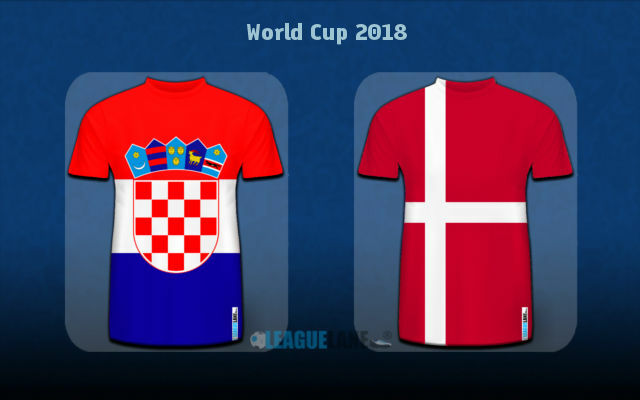 Predicted Full-Time Result is Croatia edging past Denmark with a single goal to make the difference. Under 0.5 goals in the first half @ 2.25. HT/FT – Draw/Croatia @ 4.33. Correct FT Score: 1-0 Croatia @ 5.50.
why not predicting a wide range of different leagues!? How many more league do you want ? We have everything covered including the Scandinavian top leagues and MLS.